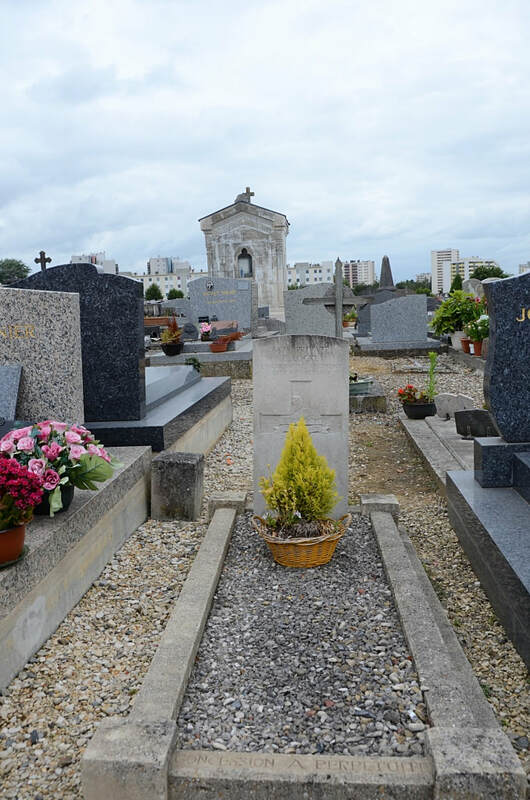 St. Quentin is a large town and an ancient cathedral city in the Department of the Aisne. The Northern Communal Cemetery is located in the St. Jean district of the town, along the Lesdins/Bohains road (Rue Georges Pompidou). The main entrance to the Cemetery is in the Rue Gaston Bonnier. St. Quentin became the Headquarters of the Royal Flying Corps, on the 25th August, 1914, but in a few days it passed into German hands; it was re-entered by French troops on the 1st October, 1918. 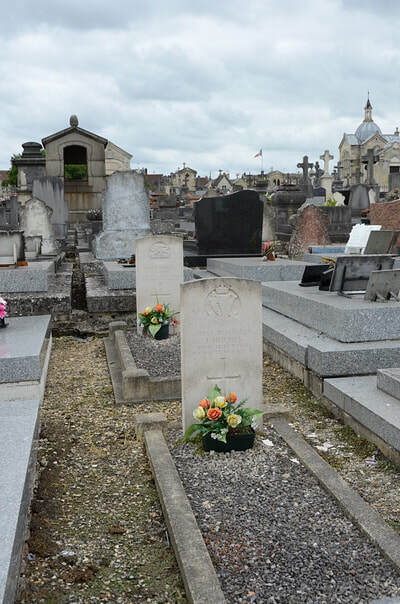 There are now 5,1914-18 and 2, 1939-45 war casualties commemorated in this site. 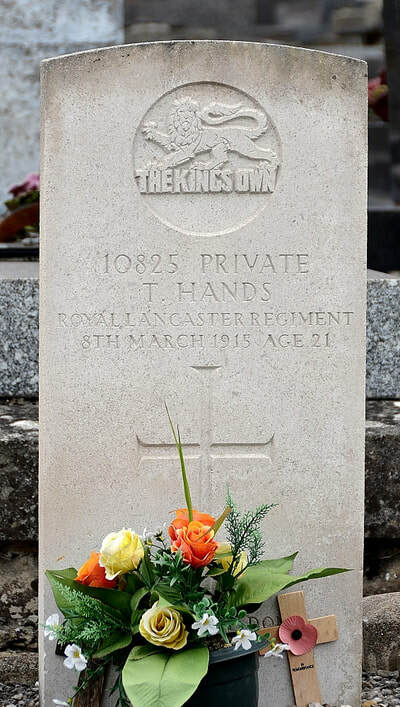 10825 Private Thomas Hands, 1st Bn. 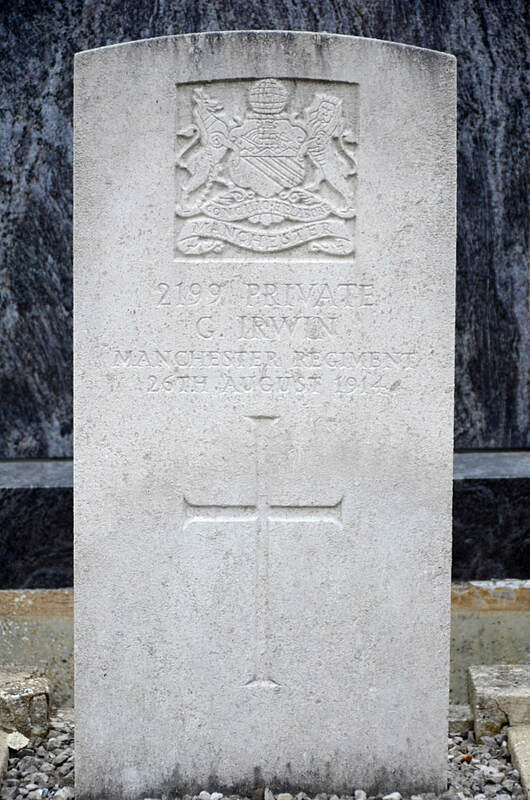 King's Own (Royal Lancaster Regiment), died 8th March 1915, aged 21. Son of Thomas and Isabella Hands, of 38, Strachan Street, Newcastle-on-Tyne. 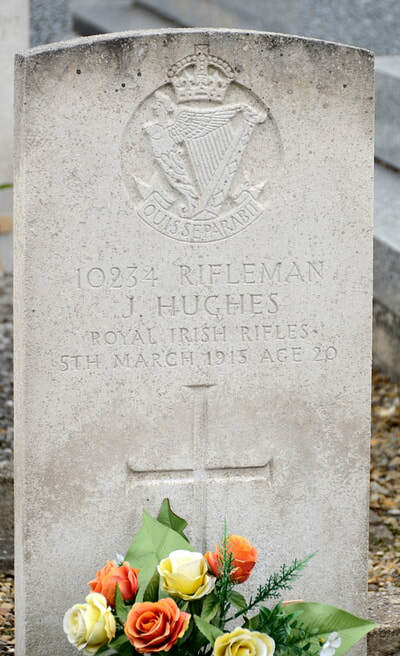 10234 Rifleman J. Hughes, 2nd Bn. Royal Irish Rifles, died 8th March 1915, aged 20. Son of Patrick and Mary Hughes, of Devlin Street, Fermoy, Co. Cork. 2199 Private G. Irwin, 2nd Bn. Manchester Regiment, died 26th August 1914. 8878 Private E. Locke, 1st Bn. 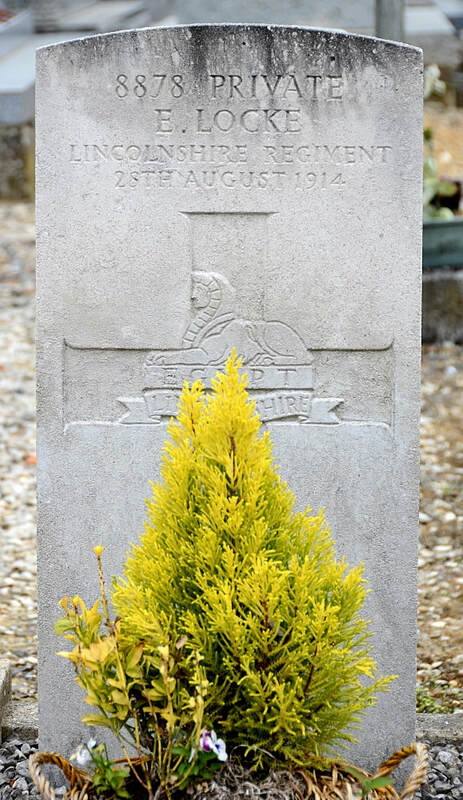 Lincolnshire Regiment, died 28th August 1914. 11465 Private John Henry Pearson, 2nd Bn. King's Own Scottish Borderers, died 26th August 1914, aged 30. Son of Sarah Pescod, of 54, Clumber St., Scotswood Rd., Newcastle-on-Tyne. 6289706 Private Frederick Cyril Burchett, 5th Bn. 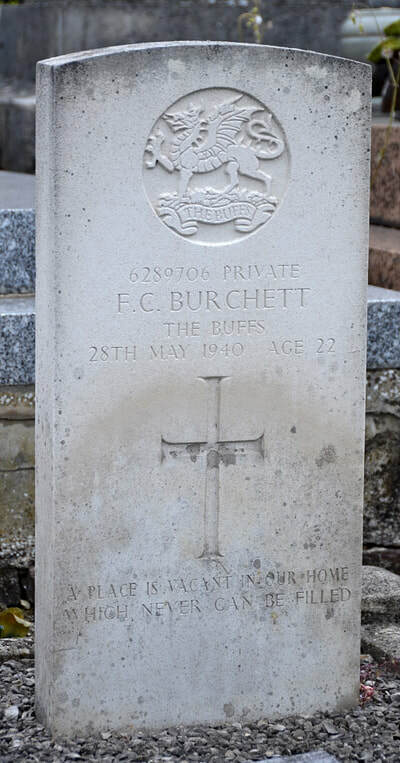 The Buffs (Royal East Kent Regiment), died 28th May 1940, aged 22. Son of George William Alfred and Lily Emma Burchett, of Rochester, Kent. 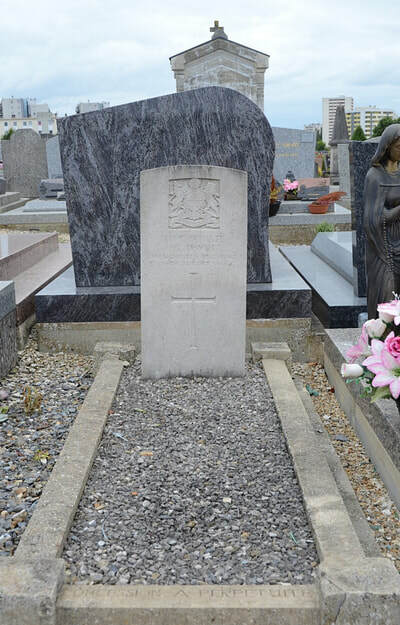 2203354 Serjeant Ernest George Sampson, 7th Bn. Queen's Own Royal West Kent Regiment, died 24th May 1940, aged 37. Son of Frederick and May Sampson; husband of Marjorie Winifred Sampson, of Gravesend, Kent. INSCRIPTION. ALWAYS IN THE THOUGHTS OF HIS LOVING WIFE AND CHILDREN. TILL WE MEET AGAIN. Private Thomas Hands and Rifleman J. Hughes were shot by the Germans on the 8th March 1915 for being spies after being caught wearing civilian clothes in St. Quentin. They were actually left behind during the retreat at the end of August 1914 and couldn't get out before the Germans arrived to occupy the town. They were looked after by the local townspeople but were eventually arrested. 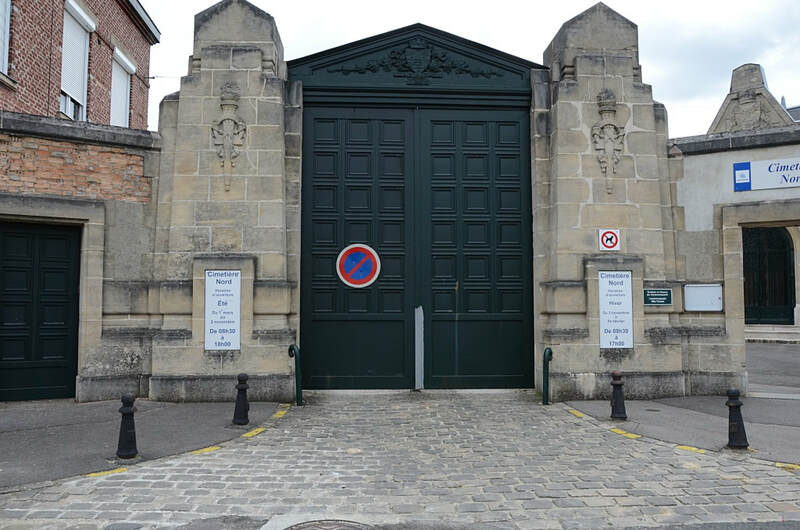 They were tried by a military tribunal on 11th February 1915 and both were given the death sentence on the day of their execution. 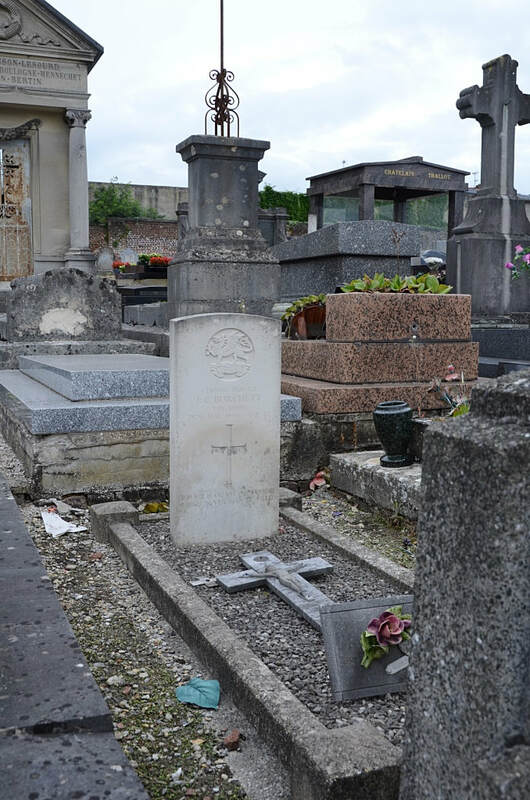 Gustave Preux who had hidden Hughes was condemned to fifteen years of forced labour in Germany and returned after the war with his health broken. The Commandant posted notices around the town proclaiming the execution of the two soldiers.